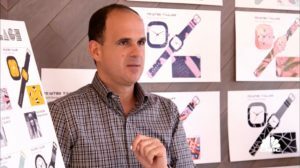 Over the last month, I’ve been absolutely enamored by a TV show called “The Profit.” It’s a reality-style show in which billionaire businessman Marcus Lemonis invests in a struggling company. 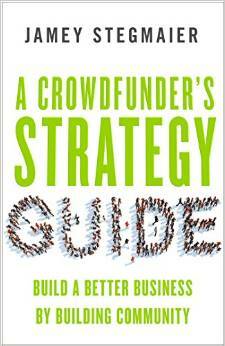 He then tries to help the company thrive by focusing on the people, process, and product. I’ve learned a ton from watching the show, I wanted to share some of the things on today’s post. I thought it would be fun to share them through the lens of the completely hypothetical situation of Stonemaier Games appearing on an episode of The Profit. Location and Appearance: I think Marcus would be surprised to find that I run Stonemaier Games out of my small condo. He would probably want to see “our” warehouse, which is really the Greater Than Games warehouse (they’re our distribution broker). I’m genuinely curious what he would say about me working from home instead of having a “real” office. I’m very happy working from home, and all of the project management I do (a huge part of my job) is done remotely with people all over the world, so I’m not sure my location matters all that much. In places where location does matter–like a retail store–Marcus often makes huge changes to make the store more focused and attractive. People: Usually Marcus has several people to focus on as he tries to sort through drama that is getting in the way of the business’s success. I don’t think Stonemaier Games would make for good TV in this instance. It’s clear that I’m in charge (at many of the businesses Marcus visits, there is no clear leadership). However, I’m sure Marcus would question if it’s best for me to be the sole full-time employee at Stonemaier Games. I would explain to him that I delegate a ton of stuff to various independent contractors and that we publish games from other designers now, but he would probably try to shift some things from my plate so I could spend more time focusing on game design. Process: Marcus often finds businesses that are incredibly disorganized–their inventory systems are non-existent, their fulfillment process is inefficient, and they have a haphazard manufacturing/assembly process. Because we outsource all of those things, it’s possible that Marcus might look into them. More likely, though, I think he’d ask why we don’t do those things ourselves. While it would be quite difficult, technically it would be possible for us to have a facility in St. Louis where we make, store, and ship our games (or do a few of those things, like assemble games but not manufacturer all of their components here). I’m not sure what conclusions he would find, but he would probably look a lot closer at the money and time saved by those possibilities than I have, largely because my plate is already full. Profit: You would be surprised by the number of businesses who know Marcus is coming to visit them, yet they don’t know the profit margins for each of their products. I just watched an episode yesterday where he had a florist break down the costs of a vase of flowers they were selling for $83. After counting the cost of the flowers, the vase, and the labor, their profit margin was around $2. For Stonemaier Games, I think Marcus would focus on the difference in profit between a game sold to a distributor (95% of our sales, but only about a 40% profit margin) versus games sold directly to consumers (5% of sales, but close to a 70% profit margin). I think he would respect the distributor strategy–it’s much more efficient to sell 10,000 games to 10 distributors than to sell 10,000 games to 10,000 different people–yet he may question why we stopped using Kickstarter. However, I think he would appreciate the Champion program I created this year, which drives more direct sales (albeit at lower margins than non-Champion direct sales). Good/Better/Best: One of my favorite philosophies that Marcus has implemented in several episodes is the good/better/best model. It’s a twist on the “premium option” seen on so many Kickstarter projects: Offer the core reward and a deluxe version of that reward. Marcus uses this model to attract different types of customers. The way Stonemaier Games currently does this is by selling core games that (hopefully) offer excellent production value, but if people want more, there are expansions, accessories, and promos to choose from. I’m curious what Marcus would say about that approach. Gifts and Recommendations: I’ve actually made a few recent changes based on watching The Profit, so I would certainly want to share them with Marcus. One is the addition of the gift guide I talked about a few weeks ago. The other is building out our “collections” on Shopify so when someone is shopping for any Scythe product, for example, they’ll see all the other Scythe stuff they can choose from. Have you watched The Profit? What’s your biggest takeaway from it? What do you think Marcus would say about your business? I quite like this show as well. As one who works on process documentation in my day job I appreciate his approach and think it can make a business better. Interesting comparison and transparency to diagnose is important. I definitely think he’d try to get you designing more by getting some of the management things off of your plate, since the designing is what the core of your business is. And he’d be looking to get you scaling up, meaning more games on the calendar, again meaning a team to handle things for you other than game designing, and possibly a team to design with you. And he’d put Charterstone into every Sweet Pete’s and Barkley’s. I would gladly get involved with Sweet Pete’s! I wouldn’t actually say that designing is the core of my business (I would say project management and customer service are 80% of what I do), but it is true historically my designs have resulted in a significant portion of our profits. You’re also right that he might push me to release more games, but I would push back against that. I want to stay small and focused, with long-term growth stemming from reprints. I want to make a splash every time we release a new game, not have it be one of dozens of games we release each year. I think Marcus would see that more isn’t necessarily better in the board game business. I was typing on my way out the door. I should have said that the design is at the core of what differentiates Stonemeier from other game companies. While your component production and art designs are mostly unique from other game companies, I think it’s the games and their play/design that ultimately lead the sales arrows up or down. The customer service and project mgmt are very important, but they’re a lot easier for a competitor to copy than Scythe, Charterstone, Euphoria, etc. Ah, I see–that makes sense! I think Marcus would want to up Stonemaier Games sales by expanding its customers more beyond gamers. This might include recommending that you design more games with that broader appeal, but that might not suit you. If he tried to monkey with your customer relations, I trust you would nix him—that’s where you could teach him (or anybody else) a thing or two! Beyond business expansion, Marcus emphasizes employee relations; given that the only counterpart for Stonemaier Games is your relationship with subcontractors, I think he would find those admirable (although he might want to tilt the contracts more in your favor). All the episodes I watched were about businesses in trouble, which Stonemaier Games is not. Although you said that you don’t think Stonemaier Games would make for good TV, how would you feel about being on the show as a model of a successful sole employee business? That would be an interesting change-of-pace show and a boost for both Stonemaier Games and the gamer community! Not sure where the required dramatic conflct—between you and Marcus(? )—would come from though. I haven’t watched all the episodes, but don’t remember any where Marcus’s implemented recommendations turned out to be misguided. Are there any such instances? From a sample size of one consumer, that works. Stonemeier (and Pandasaurus) are the two publishers that get my attention with every release. Renegade used to be before they broadened their portfolio with RPGs. There are a number of episodes of The Profit where Marcus looks back at companies to see how they did. Usually if something goes wrong, it’s because they didn’t implement Marcus’ ideas properly, but sometimes he talks about recommendations he made that simply didn’t pan out. I like his transparency. Arguing against too much diversification is an article yesterday that blames “diversifying to much” as one of five factors that sped Sears’ fall. After you recommenced the show on your live Facebook talk I watched an episode. It’s a great show. Reminds me of the restaurant business show Kitchen Nightmares with Gordon Ramsey. The episode I watched was with the toy designers, 2 brothers, the company was Skullduggery. It was unreal, a disaster. No playtesters. When a little girl gave feedback about confusing instructions one of the brothers told her to learn how to read. I think Marcus Lemonis would tell me to be more like Stonemaier Games, and I think you are right about him mentioning Kickstarter to you. He might tell you fight against “we can’t have nice things because of bad people”. I think he would tell you to fight against that thought of the 1-5% that ruin things. How thinking about how that 5% will complain stops you from doing some good things. The KS Scythe being shipped early was a great and very nice achievement. I think that’s something Marcus would say. :) Though the reasons I left Kickstarter are much bigger than that–if that was the only reason, I would still be on Kickstarter. I’ve been a fan of The Profit for years now and got my boss to watch it and we focus on things we can learn from each business. I believe this show helped us a great deal in making our company better. I like the earlier episodes because I think it focused on the businesses more than the human drama that every business seems to have. In the People, Process and Product philosophy we were having problems in all 3 of them. I think our biggest issue is that we were growing too fast and trying to do too much without the right People in place. Wrong or inexperienced staff, without the right training caused our Process to be bad which was causing “just OK” Product to be produced. We slowed things down to focus on what we were doing well and got a good team together. Since the People were better, the Process got better and now the Product is a lot better. We want to do a lot more but the lesson we learned was People were the most important factor because they can fix the Process and the Product. For Stonemaier, I think Marcus would say that there is no issue with the Product so he would look at your People and Process. People, I think he would be looking for you to add more staff to have you focus more on design and product management so that you could make more great products. I think he would want you to add staff for customer service and get that off of your plate. For process I think he always looks for ways to either improve margins or increase sales potential. I think he would be looking at your direct sales either through Kickstarter or website. I know it is a mental strain to do Kickstarters but I think he would want to try and attain those margins because you have such a great relationship directly to your customers. I don’t think Marcus likes working with distributors as much because he always seems to want to have accounts directly with the retailers. Anyways, I’m glad I’m not the only one watching this show and trying to apply it to our gaming operation. Thanks for this post. I LOVE THIS SHOW! You hit on a lot of the takeaway for me too. Another one that comes to mind is he makes sure the people who are making the company successful are the ones who have equity. In our case, that might mean giving the artist royalties if you want them to put extra effort into making the game extra special or giving the game designer royalties to encourage them to help promote the game and continue working on expansions and additional content. Brian: That’s a great addition–you’re right about the equity/feeling of ownership. I think we do that pretty well with royalties in various situations. I would be fascinated to hear his thoughts about Kickstarter! pretty spot on analysis, in my guess too. you should pitch him, it is an emerging business. you do not have the drama that a lot of the businesses have but this is a hobby that is starting to break big and I think he would find that interesting. I think he would love your relationship with your customers, and your attitude in general. He could learn from you in some areas! I think he would bring an overview on how you could grow your business to the next level. If that is what you want to do. if this model is working, and you are supporting yourself and you are happy, scaling up could bring more headaches, but on the other hand, you have proven yourself to be a winner, so I am guessing there are things you are capable of that you can not even imagine (in that we tend to limit what we are truly capable of when put to the test). I just think he would love you and your business! I am sure some fans would help if you petitioned him to be on the show/get his advice. would you want to go into business with him is the big question, as that is how it works. but I have to say i have never seen anything that makes me think of him in a bad light, so…. I see in your comments you are not up to giving him part of Stonemaier, but what of a new venture? I know it may not make sense and there are probably some very good reasons to not do it, but perhaps there is some good reasons too, if the right deal could be made? It really I guess comes down to your happiness level, and your ability to be sustainable in your current system. One thing to consider, and I know this is not a pleasant one, but what happened if you could not do the incredible work weeks you do? What if you got sick or hurt? Having the business be less dependent on you personally could be great insurance against an unfortunate gaming related accident. And again, allowing you to focus on design and development, and not all the other stuff. Candy: I agree that Marcus would almost certainly talk about the risk of having a company so dependent on one person. I’m not sure what the conclusion would be, but I’m sure he would be concerned about that. Love your insights and analysis! And that you try to observe yourself and your business with someone else’s eyes. I think its a smart choice and your side to stay small, lean and focused. Blowing up your Overhead cost for the sake of growth (own warehouse, Assembly line etc.) will pressure the company to churn out more products or drop price, just to get the quantities to keep the business going month by month. This may result in products which are mediocre, cheaply done (cost pressure) which can damage the company in the long run. Its is my strong believe that operating in the “niche” the company will stay in business for the long term more likely. Diversification for revenue growth is also wrong strategy in my opinion, because its short term. Identity, brand building and product quality is much more important and its long term (lasting). Nintendo as a big company, would be a good example to name, there are 1-2 flagship Mario Jump and Run Games per console generation (4-5 Years). I think you have done a exceptionally great Job as a one Man show. If I buy a game from SM, I expect great and fresh art, clear and clean Graphic Designs, quality components and a certain price point of course. I have been a Stonemaier Customer since Viticulture and i own every game and Expansion. That is brand Brand Identity and Brand Loyalty, i don’t want to play a drinking Party Game für 10$ (exaggerated example) made by SM, this would dilute the brand. Less is more! All the Best Jamey for your future!!! I forgot connect my comment with the actual Topic. As Marcus i would not give any advise to expand and diversify (as explained above). Rather to stay Focused and do what you do best (or enjoy most) and allocate more time to the task. Outsource even more to free up more time. Thanks Garvin! I like your point about the flexibility provided by not having too much overhead. Based on our current system, we would be just fine if our output fluctuated up or down each year since we’re only paying for the warehouse space and brokerage we use. Jamey don’t you think, in order to sustain a long term business either you are small and flexible or Big? Everything in between is hard to maintain in the long run. Thats why business is so growth driven. I’m not sure! It seems that way, but I don’t have the data or the experience to back it up.